This annual conference on the Croatian Adriatic aims at GNSS experts and covers the risks and vulnerabilities of the global navigation satellite systems and efforts to improve accuracy and reliability. 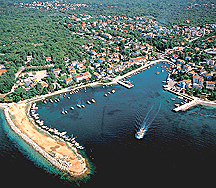 It will take place at Baska on the resort island of Krk in Croatia from May 21 to May 24, 2012. The event was founded by Dr. Renato Filjar and is organized by the Royal Institute of Navigation (London, UK), Institute of Engineering Surveying and Space Geodesy (IESSG), University of Nottingham, UK and Faculty of Maritime Studies, University of Rijeka, Croatia. Follow the conference on twitter at http://twitter.com/satnavigator or email Dr. Filjar at the address below.